Ferex.sk is a fast-growing eshop selling a wide range of products including garden and workshop tools and machinery, garden tool houses, garbage containers and trash bins, pergolas, carports, greenhouses, street furniture and much more. The initial concept of the Ads campaigns, like the eshop itself, was rather modest. It contained just a few generic product categories – wheelbarrows, garden tool houses, and garbage containers. One campaign manager and a handful of ad groups were more than enough to take care of the whole project. As the eshop started to grow, however, it became apparent that this manual approach wouldn’t suffice eventually. Dozens of products with distinct and specific parameters and brands started to be added and it was neither realistic, nor reasonable to try to keep up manually with the growth. The project moved to much more competitive segment where highly specific ads containing brands, parameters and prices are a must. Blue Winston proved to be the right tool to do the job. 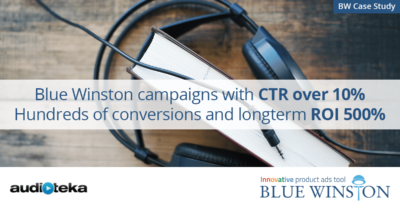 Since not all the product categories and their respective market segments require this level of automation, Blue Winston campaigns are thought of not as a substitute, but rather a complement to manual campaigns. Therefore there is no point in “before and after” comparisons or even “manual versus automated” ones. The client’s goal was to keep up with fast expansion of the eshop, enter new market segments and be able to compete with big competitors despite of a relatively small budget. Using a category filter and a minimum price limit 419 products were evaluated as suitable, 143 of which contain 465 eligible keywords in total. The initial goal was met successfully – both Blue Winston campaigns (a product one and a group one) are profitable and continue to help the client to stay flexible and competitive even among the strong competition. 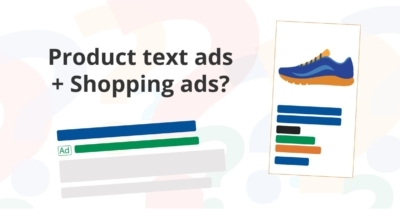 Maxinaradie automates Text ads for 3468 items from electric hand tools and get stable CPA of 20,25€ / conv.